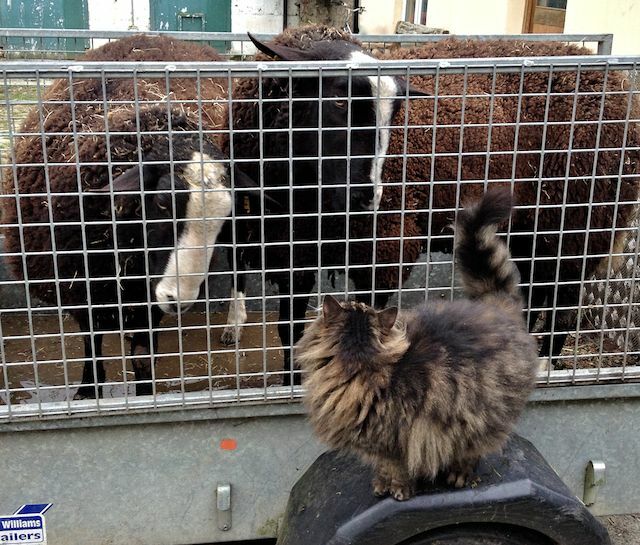 This is the time of year that as a shepherd your feeding pregnant ewes, thinking about getting ready for the long sleepless nights and rush of lambing. 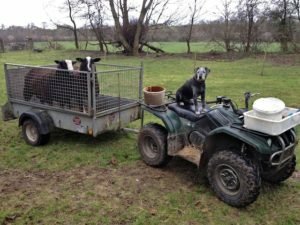 The poor rams often get forgotten about, their work has been done and all or most of your ewes are carrying their lambs for the coming spring. 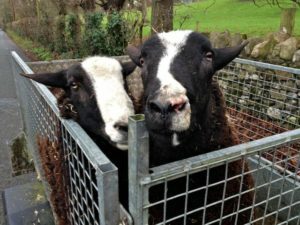 As I don’t have a mobile sheep unit for foot bathing, I must take the Zwartbles rams out of their paddock and up to the foot bath in the yard. 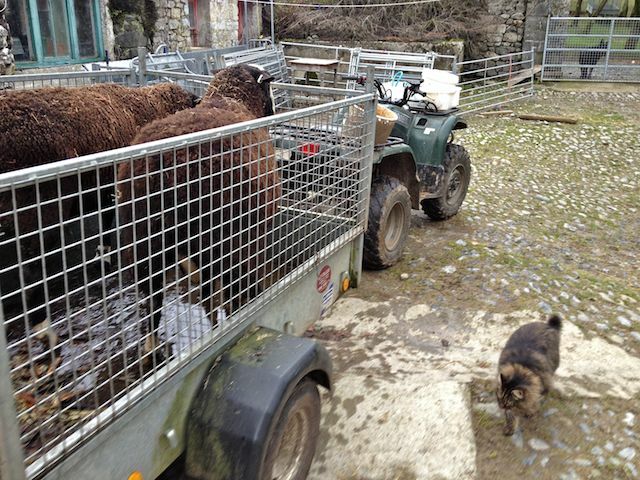 Normally I can trot them up the road then up the hill to the yard. 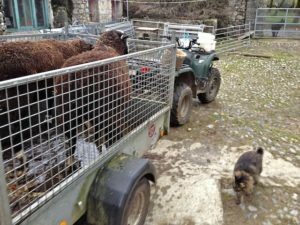 Due to the very wet weather we have been having Whiskey is suffering from a case of scald so would not like to walk all the way home along the road and up the hill, so trailer transport is easily organized. 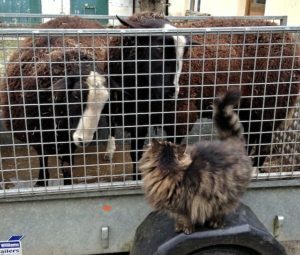 As I close the yard gates to unload Bodacious greets the boys and seems to be giving them instructions on how to behave. 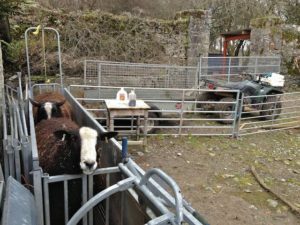 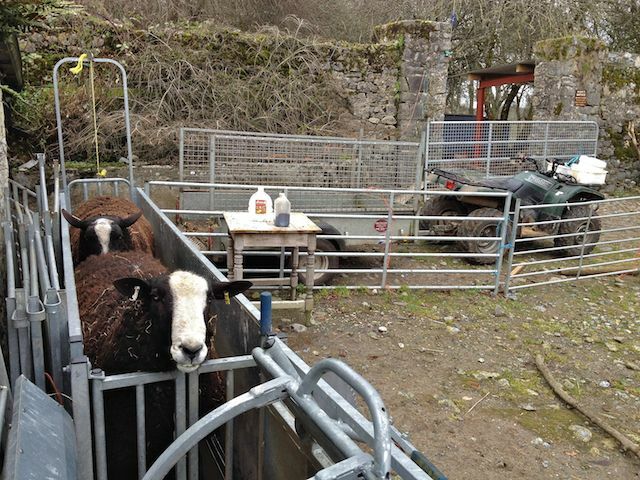 They must have listened well as they unloaded and went into the foot bath as easy as anything, where they were both given a dose for fluke and vitamins. 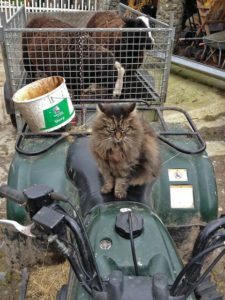 As it is so wet and the ground is sodden I will keep them in a dry shed for 24-48 hours to knock the scald on the head as it has been a bit of a bother to poor Whiskey.